It’s time again to vote for Hay Hay It’s Donna Day, hosted this go-round at TriniGourmet. There are some great tart recipes – both sweet and savory – included in the roundup! 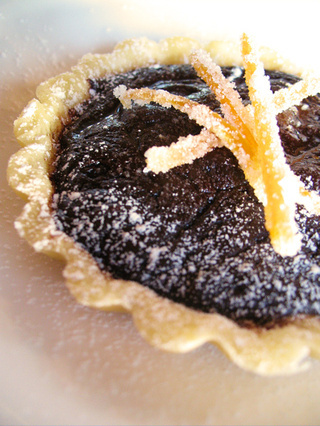 If you liked the Dark Chocolate Tart with Candied Grapefruit Peel, go cast your vote through the TriniGourmet site…or just send an email to HHDD@TriniGourmet.com and vote for Running With Tweezers! You have until October 12th to get your votes in! I just want to say I think your site is great, keep up the splendid job.